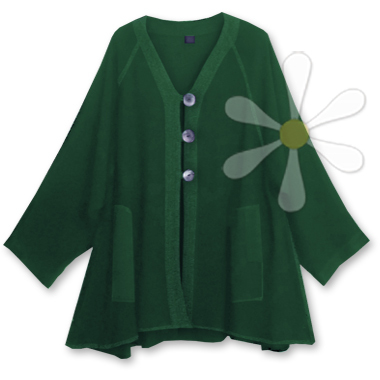 Pronounced 'weez-duh', this wonderful wide jacket has large pockets and big polished shell buttons for closure. All the bands are trapunto-stitched in neat rows, including the functional front pockets. Even wider at the bottom, it's especially designed for those of us a bit curvier at the hips and features deep wide raglan sleeves. We think of it as easy classic comfort!